When you choose one of our chauffeur driven Range Rovers you are choosing a car with style and presence that will take you anywhere with its 4x4 capability and its iconic design, complete with luxurious leather seats it carries up to 4 passengers with their luggage effortlessly. When choosing the Range Rover chauffeur vehicle with its tinted windows, heated seats and soft leather interior, climate control for your comfort some come with DVD and TV. 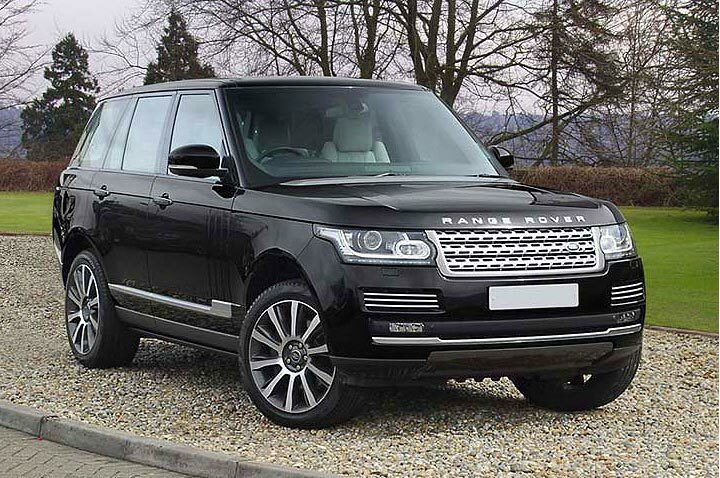 This vehicle is most suitable for Shooting parties, Polo matches, Horse racing events, Golfing days or for Wedding hire this is the beauty of the flexibility of a Range Rover chauffeured vehicle.